This delicious Coconut Turmeric Latte is the ultimate healthy indulgence. It tastes like a creamy dessert coffee but is so good for you. Don’t worry, even though you don’t taste the turmeric, you still get all of its health benefits. 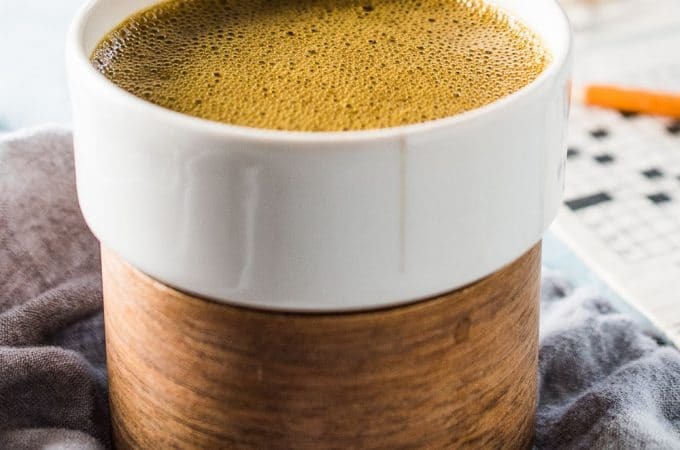 Combine the coffee, coconut oil, and turmeric in your blender and blend on high until frothy. Pour into your coffee mug and (if you’d like) sprinkle a little extra turmeric on top to make it pretty.